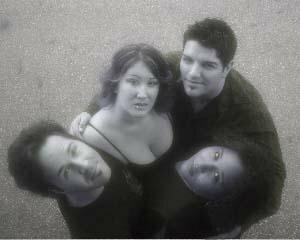 Bryan Tomas (piano/guitar/vocal), Monica Parker and Jennifer Washington (vocals/tiger claw dancers/shaker eggs). They chose the name Notes to Myself when the group first started performing together in 2004. While we miss them all very much, the dynamics of the music has evolved greatly over time with each new musician. Michael Heise (guitar), Kenny Befus (percussion), Ryan Smith (percussion), and Greg Lindauer (bass). Jim Guffey (bass), John Guffey (guitar), and Sam Parsons (percussion). 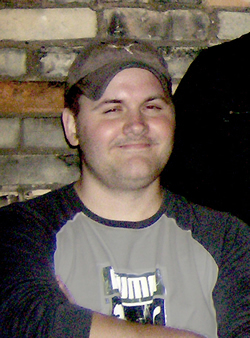 John Guffey has been playing guitar for years and joined us as our new bass player in 2008. On our sophomore album John stepped up to the plate and played on all of the tracks as our guitarist as well. He has definitely proved to be a serious musician with some amazing talent. Currently he is playing the guitar for our shows while we welcome his brother Jim Guffey to the band on bass. 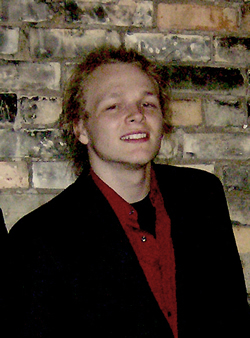 Sam Parsons joined the group in 2008. Sam is a very talented percussionist who currently studies music at Western Michigan University where he plays for Gold Company II. It's clear he's a musician at heart as he plays many instruments but his solid rhythms and strong jazz roots bring something totally new to Notes to Myself.